Journey through the first 49 years of CES starting in 1967 when the show began in New York City. In the five decades since, technology that has changed the world includes computers, VCRs, and IoT. Relive the storied history of CES with this video. Technology IT’S almost tax time and that means you could soon have an influx of cash to spend. Here are five must-have products for every Aussie home. 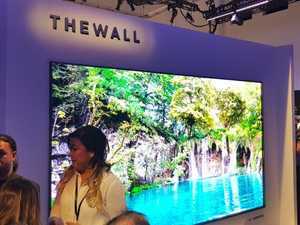 Technology LG Electronics has unveiled a super thin 77 inch signature television which features both Dolby Vision and Dolby Atmos sound for a cinema-like experience.